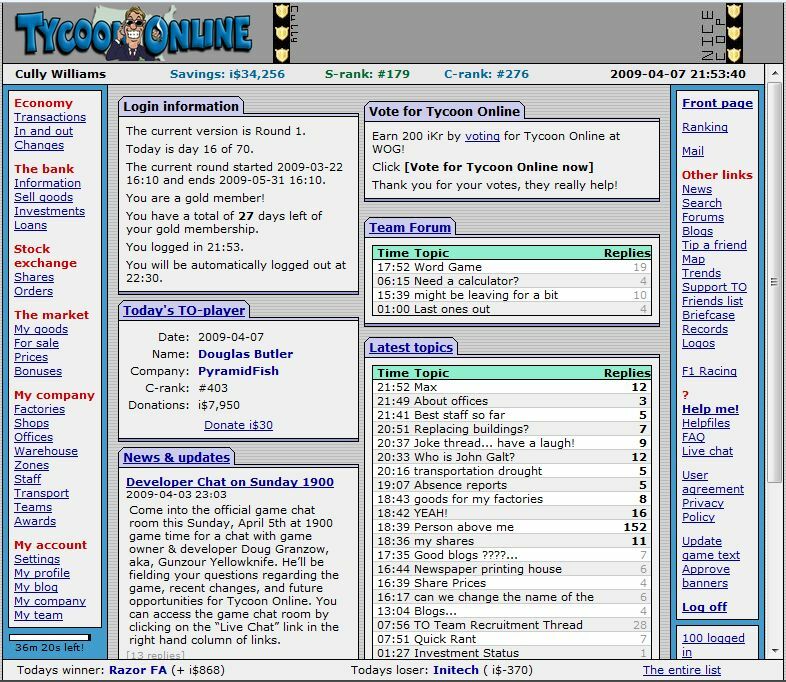 Tycoon Online is a web based business game. 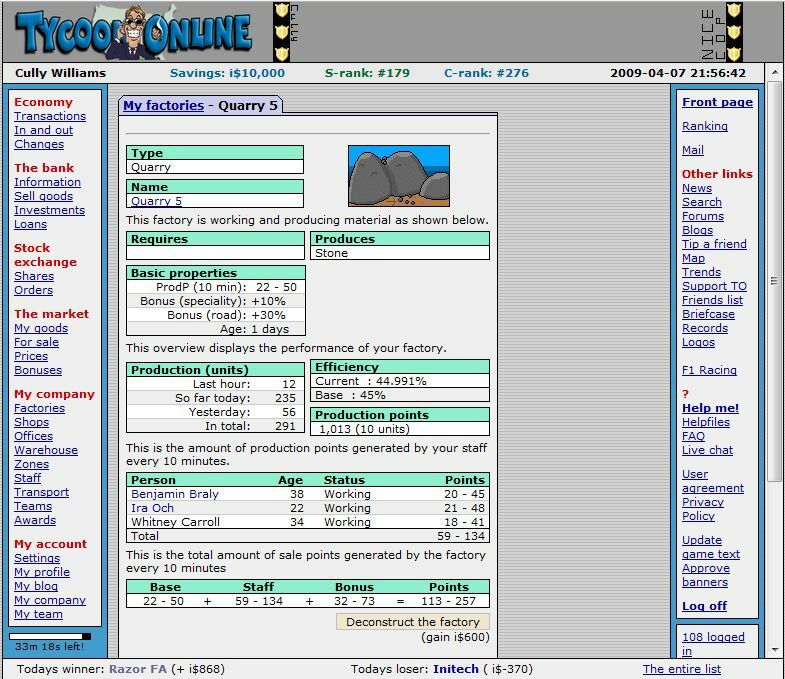 Tycoon Online aims to create a virtual business environment where each player owns and run his or her own company. System requirements are low, and the prerequisite the same for all players. Read the helpfiles to learn more about the game. You have to register to be able to play Tycoon Online. You only have to register once. If you are already registered, simply login and play! Have you registered and forgotten or lost your password or member number? Fear not - you can easily retrieve your login information!